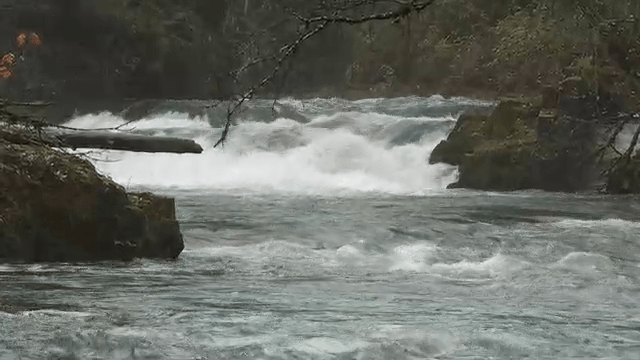 Each fall, big salmon overcome huge barriers to continue their cycle of life in Oregon’s coastal rivers, including the dramatic leaping for life at Nehalem Falls on the South Fork of the Nehalem River. But at nearby Waterhouse Falls on the North Fork of the Nehelam River, the salmon’s upriver journey is briefly interrupted. It happens inside a concrete fish ladder built into the side of a cliff adjacent to the powerful surging falls. The ladder offers salmon an easier route for passage and it is a good spot to set a trap; it’s also where an ODFW crew intercepts the fish each fall. 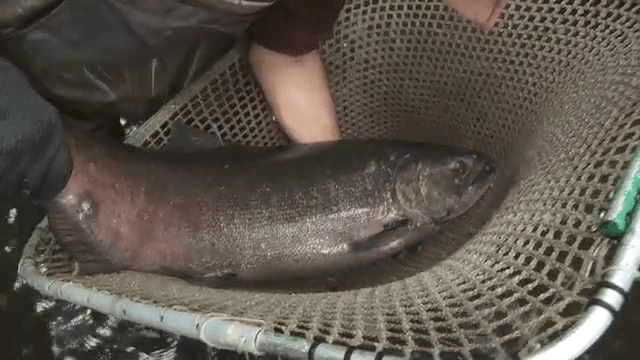 The big and brawny wild chinook are caught in the trap; the fish are tagged, measured and then released to swim to upriver spawning grounds. But according to state fishery biologist, Derek Wiley, it’s a different story for the hatchery-born coho salmon. 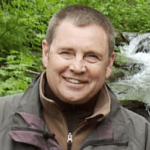 The project owes thanks to the Oregon Department of Fish and Wildlife, who provides surplus hatchery coho salmon to Tillamook County volunteers to make sure that local children and others will have a meal. The fish are transported by volunteers to Tillamook Bay Boat House in Garibaldi, where they are processed and canned. Owner Darus Peake provides the labor force that cleans, cuts and cooks the raw salmon. He said that canning the fresh salmon is preferred because it gives the product a longer shelf life and that’s important. The kids who live in Tillamook County also lend a hand. Each of the 20 students enrolled in Steve Albrechtsen’s Basic Photography class at Neah-Kah-Nie High School in Tillamook County design a can label for the project. The students then select the winner from the entries. The students also glue the labels on all 8,000 of the cans. It’s not just salmon either. The project also includes sport-caught tuna fish that’s been donated by local sport fishermen. 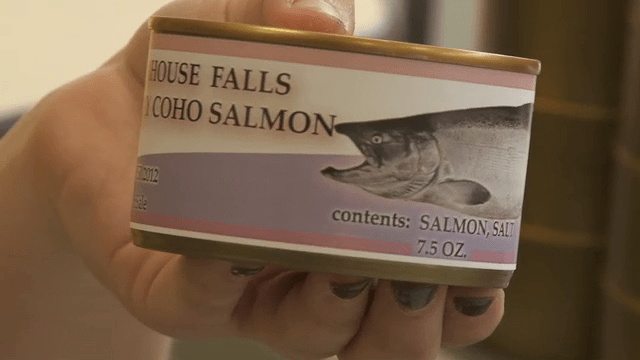 The canned salmon and tuna provide critical protein for people who don’t have enough to eat and the project reflects a unique Oregon spirit that finds neighbors helping neighbors through tough times.